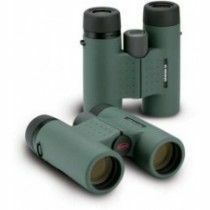 Kowa Genesis binoculars offer award-winning models manufactured in Japan. 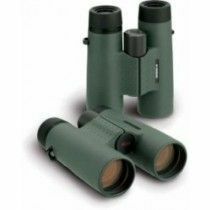 These high-end binoculars are definitely one of the best in the market built out of durable materials and PROMINAR extra-low dispersion glass. Extremely comfortable and well balanced ergonomics make them suitable for everyday use. You can choose between full-sized and compact-sized models that have resized lenses – from 32 mm to 33 mm and from 42 mm to 44 mm lens diameters, so they are able to draw in even more light to reveal the smallest details in poor light conditions. They are suitable for hunters, birdwatchers, hikers, travelers, safari, and other nature enthusiasts. Genesis binoculars are made out of Magnesium chassis to make them less heavy. They are still heavier than other binoculars using these materials, but they are still extremely comfortable to carry which shows how well balanced they are. Rubberized armour helps to protect them against impacts. They are completely sealed to prevent the ingress of water so you can easily take them with you during rain, snow or even the most extreme summer heat. They are filled with nitrogen gas to prevent the formation of condensation due to quick temperature changes. These roof prism binoculars are equipped with central focusing mechanism so you’re able to make quick and smooth adjustments with grippy central focusing wheel. For differences in eyesight Kowa Genesis model offers right-eye diopter that is also lockable, that will block the ring from turning due to sudden movements. Eyepieces are rubberized and have twist-up mechanism that allow them to make a proper eye-relief even for those wearing eye glasses. Unfortunately, Kowa genesis binoculars aren’t tripod adaptable and require a steady hand. Genesis series is equipped with PROMINAR XD lenses that offer an extra-low dispersion glass. This fluoride glass element helps to reduce blurring and chromatic aberrations, so the view-through is extremely clear and razor sharp. Together with cleaner images, this technology also helps to enhance light transmission. With C3 highly reflective coatings applied on the glass surfaces, this incredible high-quality optics technology provides extremely colorful images. Kowa Genesis is made out of BaK4 and SK15 prisms and Schmidt-Pechan system that makes them extremely compact. 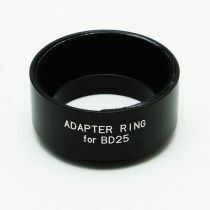 44mm and 33mm lenses instead of 42 and 32mm lenses also enhance the light gathering ability and work better in challenging light conditions. The models offer wider field of view and generous close focus distance for extremely dynamic situations in the nature and comfortable observations of the up-close or fast moving targets. Kowa Genesis includes extremely comfortable neckstrap for carrying, objective covers and rainguards for protection of the lenses and case for storage. Kowa gives 10 years of Warranty for Genesis Binoculars. The company repairs or replaces damaged products, without charge. However, it doesn’t include No Fault Policy – doesn’t cover damages due to mishandling, misuse, neglect or accidental damage. Kowa is not responsible for lost packages. You can claim the warranty with warranty card given by Kowa. Wearing parts such as carrying straps, protective overs, armoring and cases are not covered under this warranty. No matter what happens to your binoculars, we will be here to help you.